1. Open the AstorProfile database from "C:\ProgramData\Graitec\Data\...". 2. 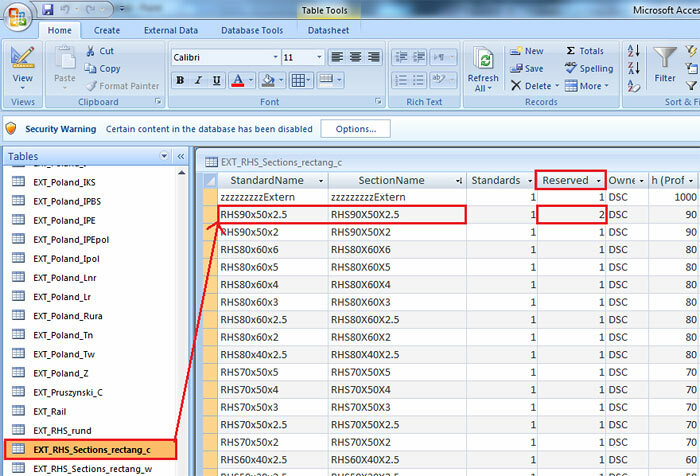 Open the table that contains the profile you want to unfold in a drawing and change the value in the "Reserved" column to 2. This modification will enable (un-gray) the "Unwind profile" option in the section's "Advance Properties" dialog box. Example: "RHS rectangular cold 90x50x2.5". 3. 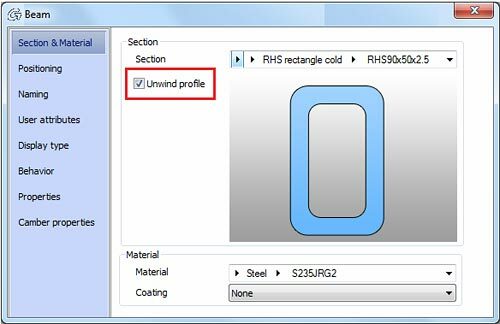 Create the profiles in the model and select the "Unwind profile" option for every profile you want to unfold in the single part drawing. 4. 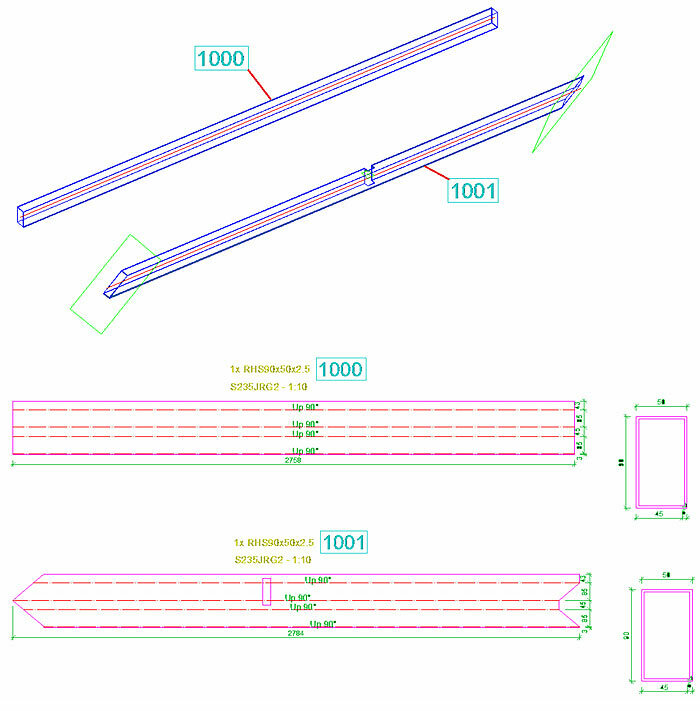 Create the single part drawings using an adequate drawing style, a drawing style that includes a "Development" or "Unfold" view.